Bikes purchased using in-store pick up may need to be assembled and tested prior to pick up. Please see product description below for more details. The Hawk Hill is our most playful trail bike, made for the rider that catches a bit of air off of every root in the trail, is always looking for an alternate line, and ends every ride with a smile. This is an all-around suspension bike with trail performance far out stretching the asking price. Although many of the bikes in our stores are built and ready to ride, some may require additional assembly by one of our Bike Techs before they're ready to be picked up and taken on the road or trail. After payment for your order has been approved and the pickup location has confirmed inventory, you will be contacted to arrange a pickup date and time that works for you. Tires: Schwalbe Hans Dampf, Performance Line, 27.5"x2.35"
Headset: FSA No 57E, Sealed Cartridge Bearings, 1 1/8" x 1 1/2 in. Series 3 Aluminum Frame: The Hawk Hill has a Series 3 6061 butted and hydroformed aluminum frame with 120mm travel MultiTrac suspension technology and playful 27.5 in. wheels. 27.5 in. Wheels: 27.5 in. 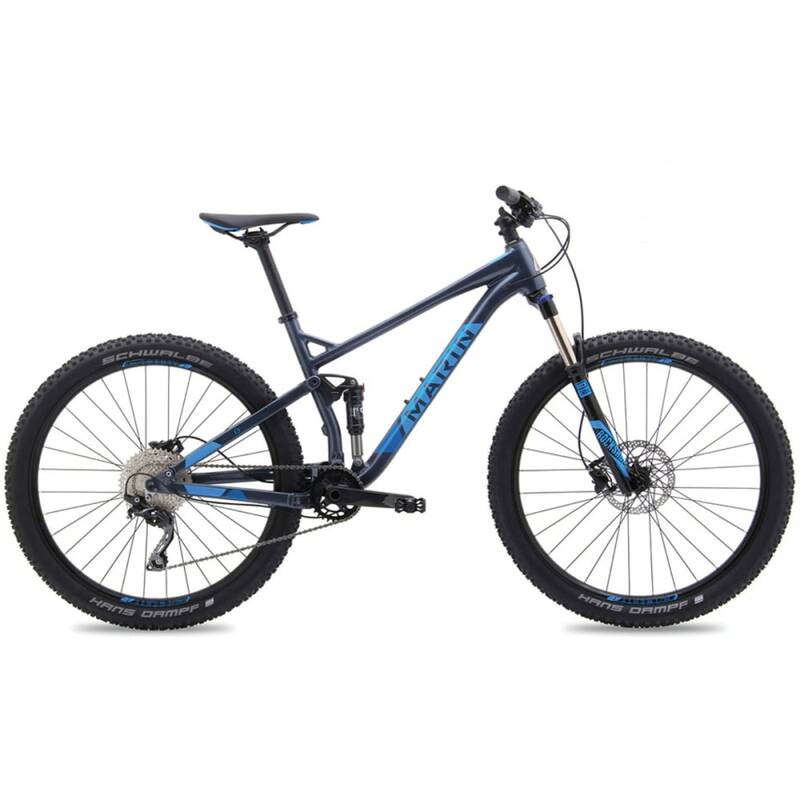 wheels fit most riders better and create a lightweight and responsive bike, the most playful trail bike in the line. MultiTrac Suspension Technology: MultiTrac is an acclaimed suspension system, fine-tuned to have a balanced ride capable of absorbing big hits with an efficient pedaling platform. The rocker link provides a progressive leverage ratio for the rear shock for small bump sensitivity and the feeling of a long travel system on large drops and rocks. Internal Routing: Hawk Hill models are compatible with internally routed dropper posts, with internal rear derailleur routing for a clean look and snag free ride. 148x12 mm Thru-Axle: Boost front spacing is paired with a 148x12mm Boost rear thru-axle for frame and wheel strength, and future wheel upgrade compatibility on the Hawk Hill 2 and 3. Convertible Dropouts: The base level Hawk Hill features Boost closed 9-12 convertible thru-axle dropouts for affordability today, and wheel upgrades tomorrow.